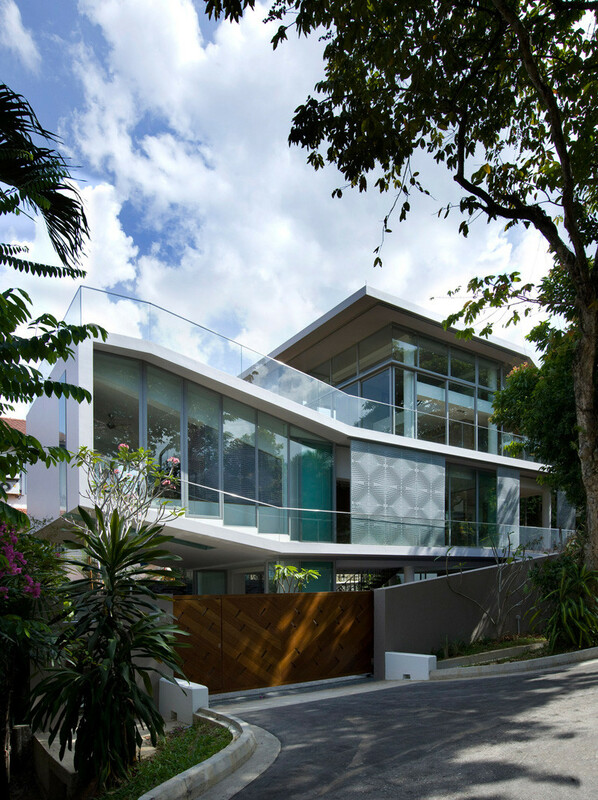 Czarl Architects, together with Mink Architects, have designed a home for a family where parents, children and grandparents can live together. 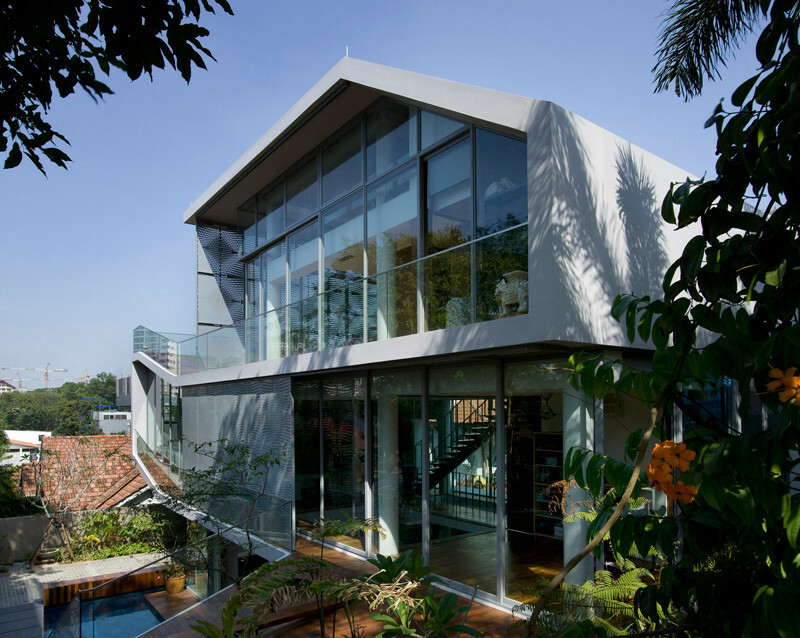 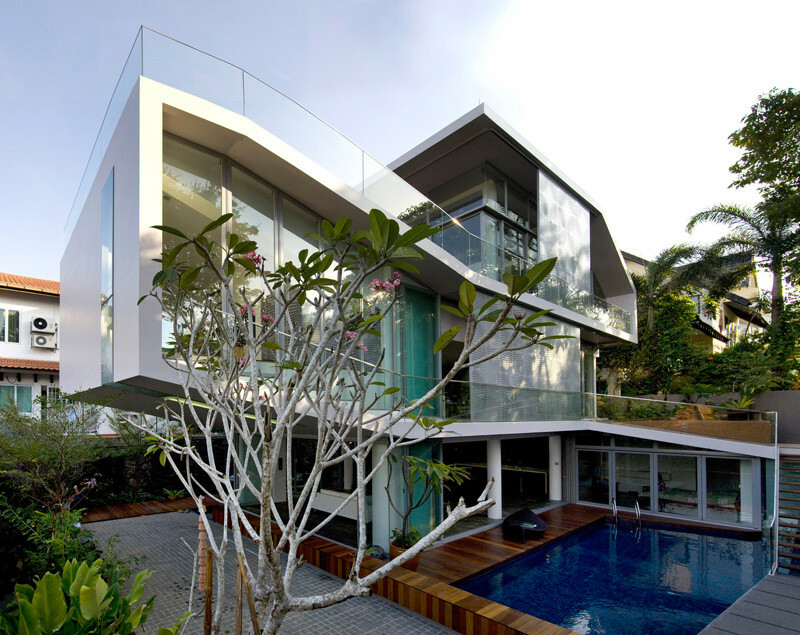 The home, located in Singapore, sits on a site surrounded by mature trees and dense vegetation, and is accessible from the front by a steep road. 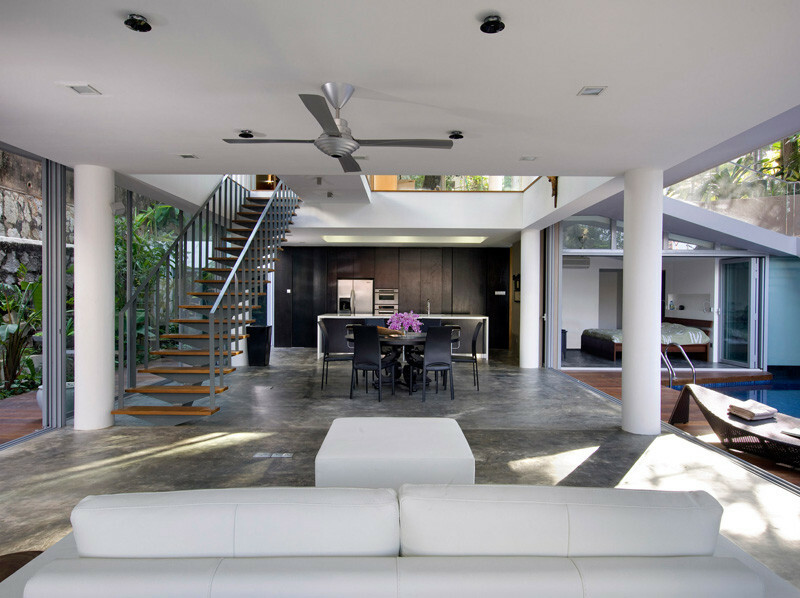 The heart of the home is the open plan living area. 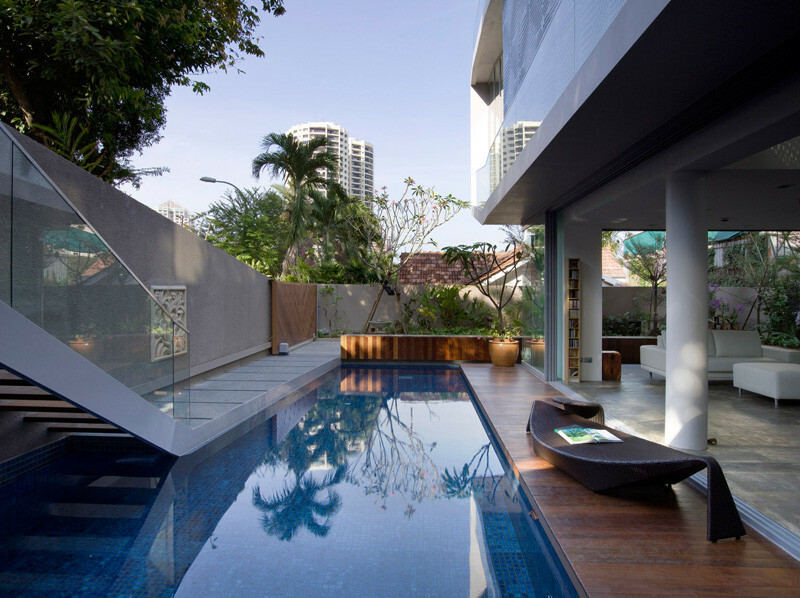 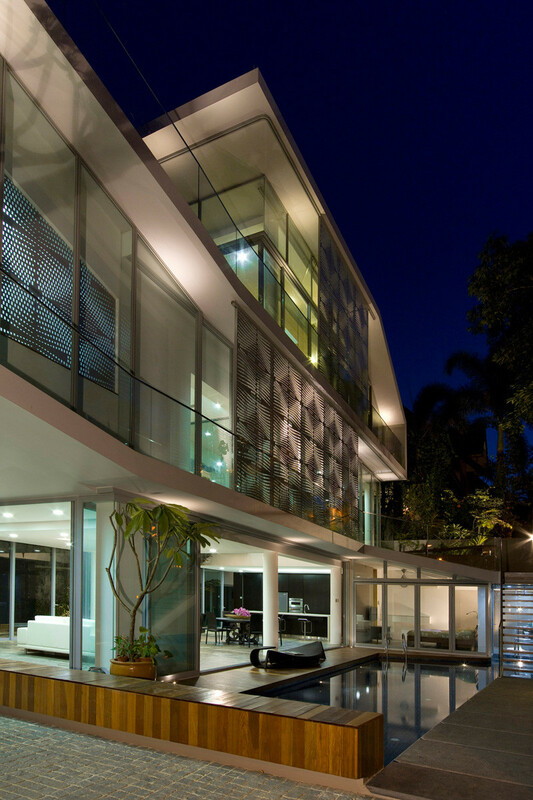 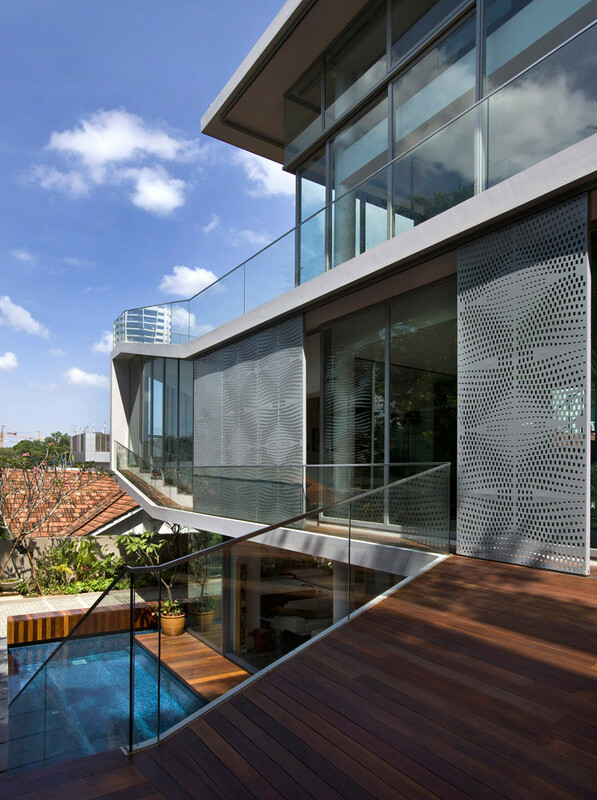 To keep the house cool, the home can open up to allow the breeze to flow through the space. 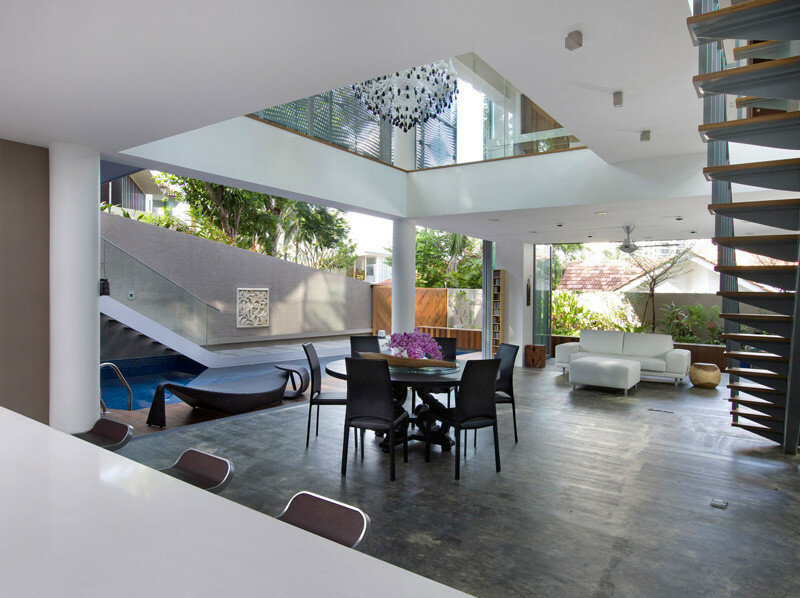 A double height loft area above the dining table also assists in the air flow. 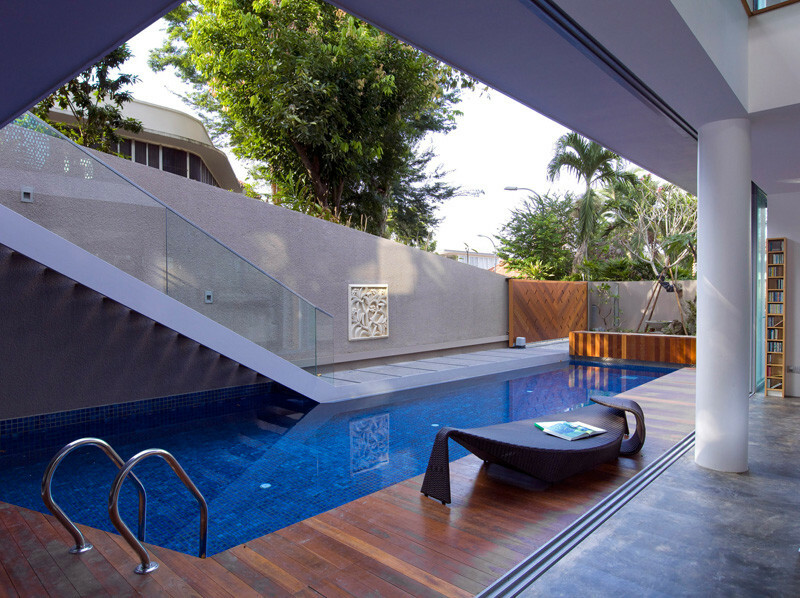 Just off the main living area is the swimming pool. 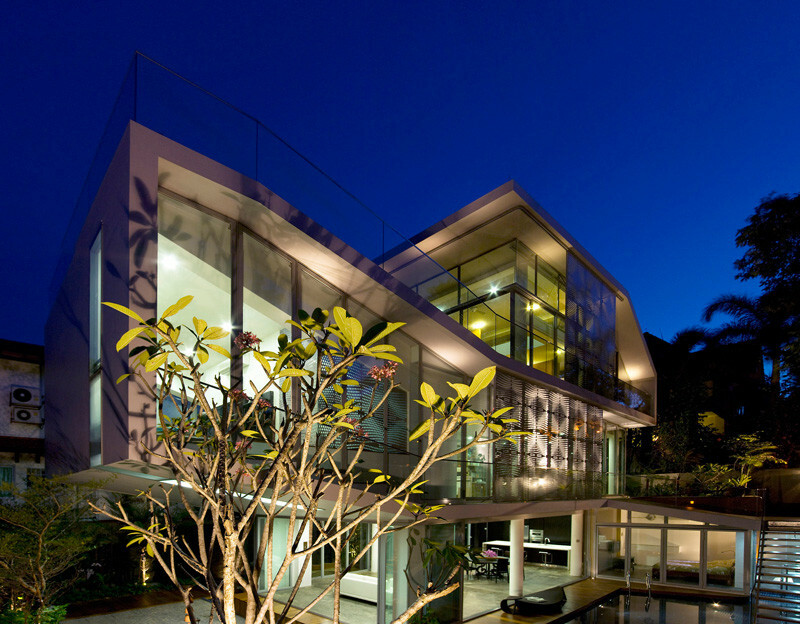 The home office overlooks the open space above the dining table. 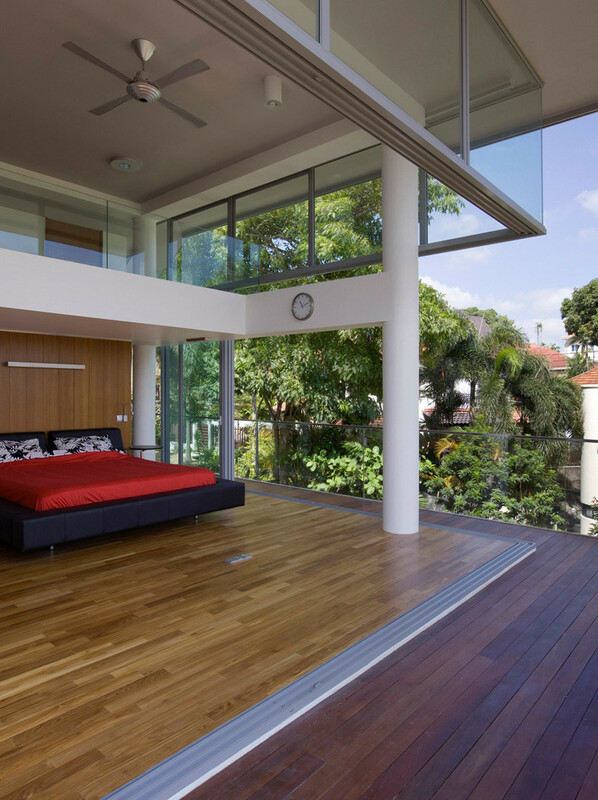 On the top floor of the home, is the master bedroom. 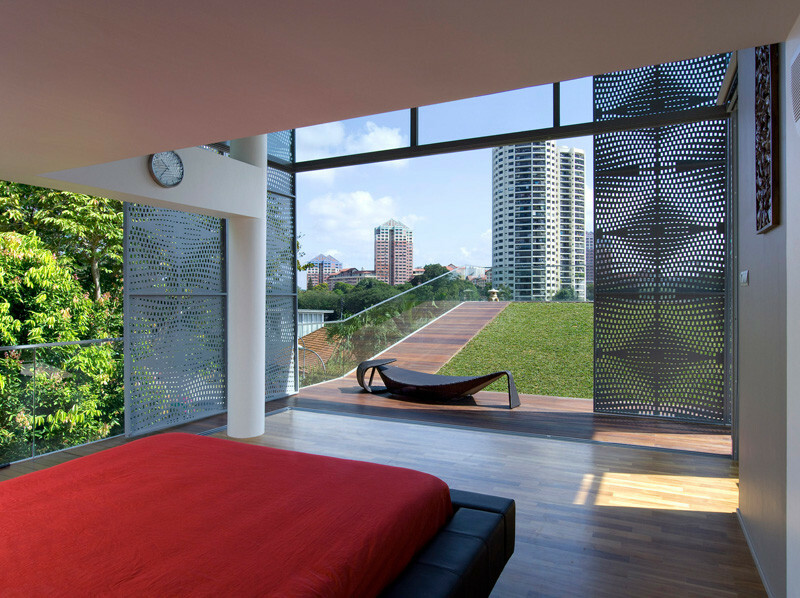 The bedroom completely opens up to the sloped grassy area. 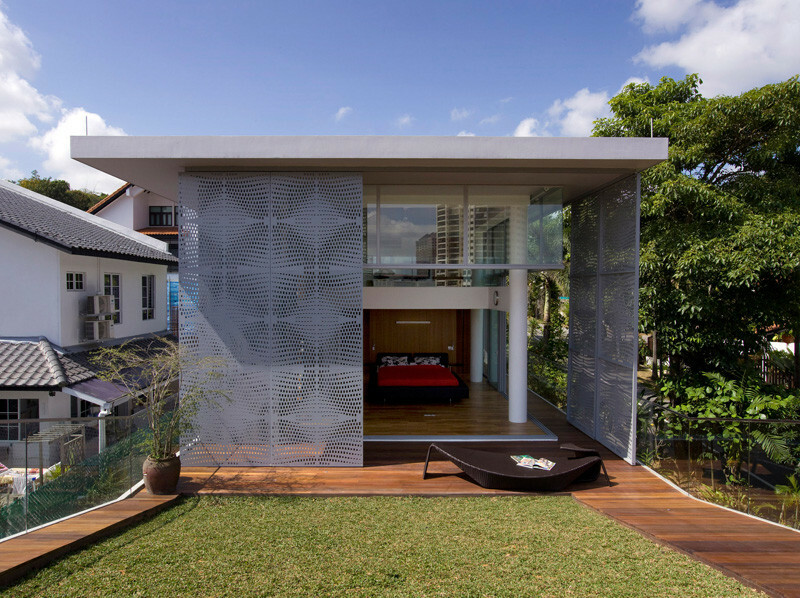 Decorative screens provide some privacy for the bedroom. 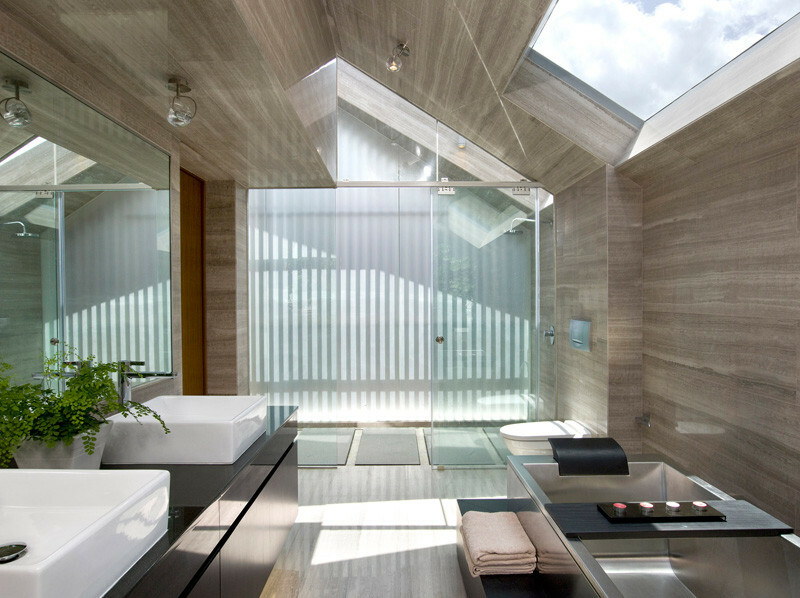 The master bathroom is filled with sunlight through the skylight. 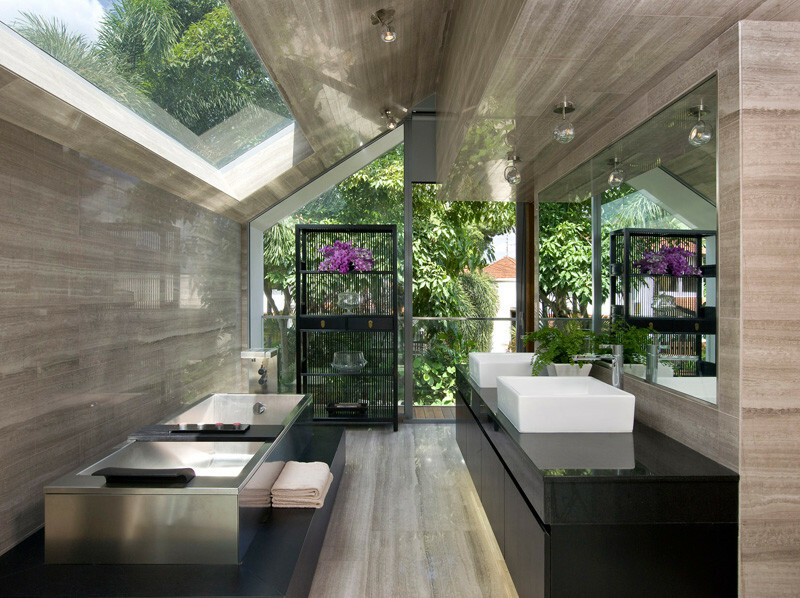 At the other end of the bathroom, the outdoor area is filled with lush vegetation, adding some privacy for the space.